Surprise that dad in a million with one of our exclusive card designs this Father’s Day, which takes place on 18 June in the USA, Canada, the UK and South Africa, and on the first Sunday in September in Australia. 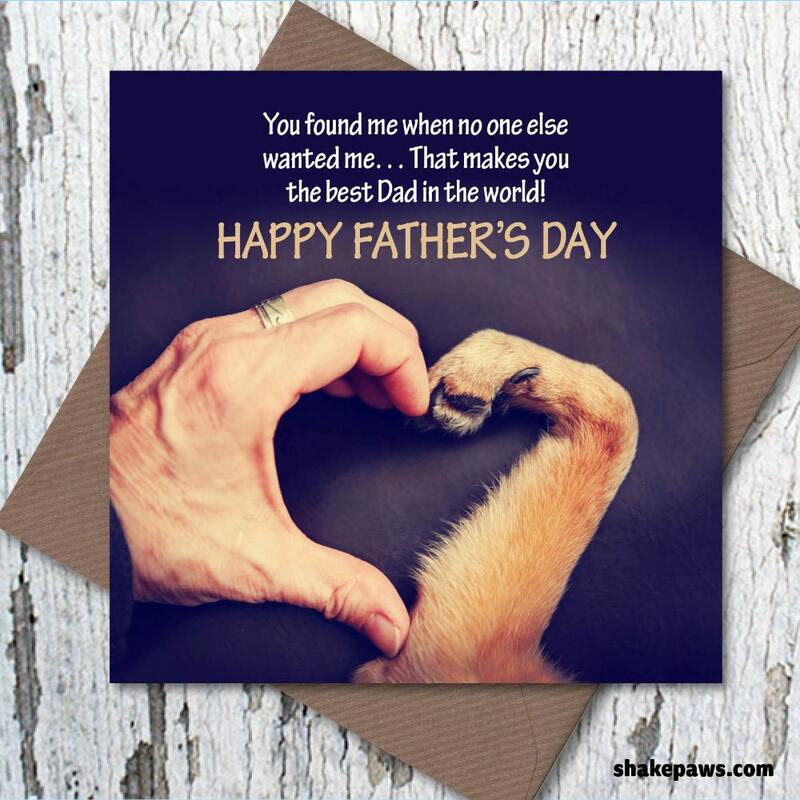 Your dog dad deserves to be remembered on his special day. Wording reads: You found me when no one else wanted me – that makes you the best Dad in the world!